Good old citrus – Vitamin C is one of the primary ingredients that play a role in fighting the flu virus while boosting immunity of the body. If you eat foods / supplements rich in vitamin C at the very onset of cold, there is every possibility that the period of the illness will reduce by half. Lemons, oranges, lime, grapefruits etc offer a power packed dose of vitamin C which is directly applicable in fighting cold. Chicken Soup – Chicken soup is not just great for the soul, it is also just as good for fighting cold. To begin with, this nutritious bowl of light protein packed fluid has qualities to inhibit he symptoms that may fuel the cold to intensify. Basically, it makes your immunity strong enough to combat the condition while strengthening your system to stand up straight even with a dripping nose. Throw in some onions and garlic to further the effects of the soup. Tea – Whether green tea, herbal tea or the flavorful rich brown brew, tea has natural healing properties that can address cold in many ways than one. A certain group of anti oxidants called ‘catechins’ that is present in tea has been named as the primary ingredient that is responsible for fighting the cold and flu virus. At the same time, a cup of steaming hot tea is great for opening up clogged nose and throat. If you add in a piece of ginger to your cup, the effects accelerate manifold. 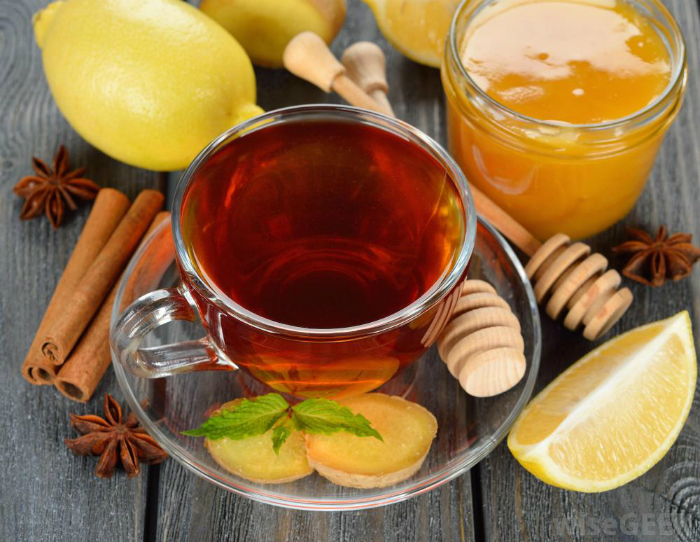 Honey – Soothing as it is for the tongue, honey is great for offering relief to the throat when affected with cold. At the same time, its anti microbial properties help is fighting germs and infection more effectively than you may have thought. Throw in a few fresh basil leaves and you will be in for the perfect natural antidote to trying and annoying cold and flu season. However, you have to ensure that you are buying pure honey and not the synthetic varieties to get the best benefit. Choosing the right brands from the right sources is important. Red wine – This is a reason to be thoroughly happy about. Red wine is rich in resveratrol and polyphenols than work to prevent the cold and flu virus from multiplying once they enter the system. So, a glass of red wine can actually bring down the cold affected days to a bare minimum. To make the matter happier, you can also indulge in a piece or two of dark chocolate which also contains polyphenols that have similar effect on cold.